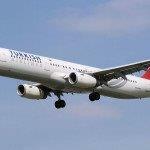 Turkish Airlines promotion - 15% discount all flights! Cheap flights from the UK to Bangkok, Singapore or Jakarta from £316! Top ranked Turkish Airlines also awarded six consecutive years (2011-2016) as best European airlines by Skytrax has released pretty rare opportuntiy to save some decent money when booking your next flight through their website. (via their new mobile application). Simply follow below link, download Turkish Airlines app. and make your next purchase directly through their website. Doing this you can get 15% discount on all flights! This discount can be used by touching the ‘get the discount’ button in the payment page. Note that discount only applies to base fare as usually. Taxes, fees and/or other service surcharges are excluded. Turkish Airlines promotion is running only till 4th of October 2018. Travel period is then from now till 31st of December 2018 or January to 31st of May 2019. Valid for both one-way as well as return tickets and also for Economy and Business class flights. Discount applies to flights operated only by Turkish Airlines. (No codeshare flights). For complete conditions of this Turkish Airlines promotion or in case of booking simply check below link.